Using the Arturia KeyStep to play 2 synths at the same time. 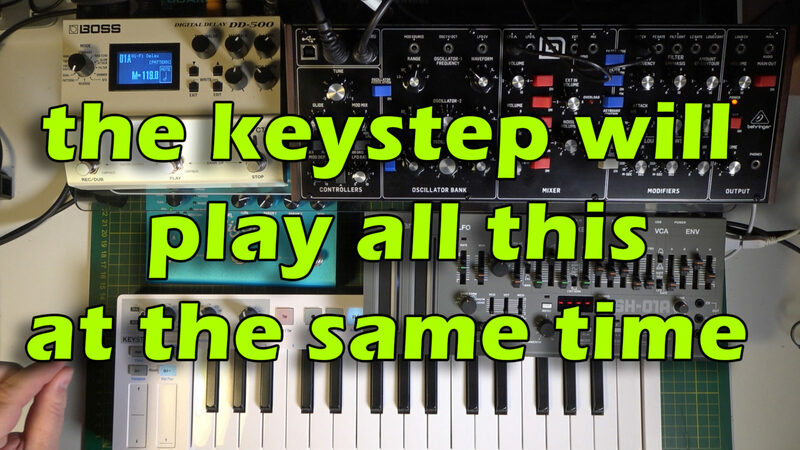 One with a sequencer and the other live AND playing the Arpeggiator (ARP) – all on the Keystep and all whilst keeping it in tight MIDI clock timing. No other trickery or computers used – see gear listing below. Watch to find out how. Yes, this was a DAWless Jam! New album “Link” – out now!